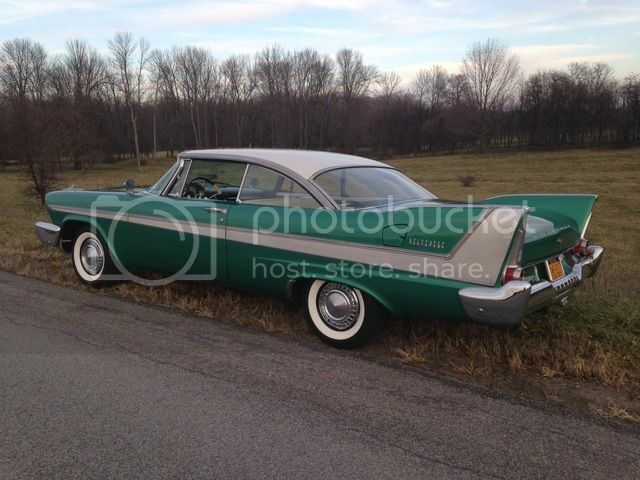 Location: Rochester, NY 57 Plymouth Belvedere...e-brake holds the car in place very well but when car is rolling it makes a terrible racket until the car stops...basically a very loud chatter. I've removed the e-brake drum...looking inside there appears to be many dark spots. My mechanic said they're hot spots and most likely the drum is warped. He could not turn it for me though...said it's too small and he can't get in there with the cutting tool. Took it to three more shops and got the same story plus another..one said he could not mount it up true because of the splined hole in the center. Do I have to find another drum?? One that's not warped? That shoul;d be a breeze Or perhaps someone has had this done before and can recommend a solution. I have a call into a local machine shop but am waiting for him to return my call. Location: Netherlands you could trry to find someone with a regular lathe to machine it, but I doubt they would want to have castiron dust on their machine. Location: So. California I have the opposite problem. My backing plate to the e-brake is warped. When I clamp it so it is more straight, the e-brake works, but like it is, I can't adjust it to make it hold. And it springs back to the same position after I release the clamp. Any ideas what would cause this? I'm not even sure how the backing plate is held on there. Whatever it is, I am guessing I need to tear the thing apart so that's next. Location: So. California I pulled the driveshaft and drum, but the only thing wrong that I see is the clip that holds the shoes at the top is bent up. Although that's not good, I don't see how that would stress the backing plate to make it warped. I don't see anything else wrong with this picture. Maybe I need a new backing plate. Does anyone know how these come off? I have the opposite problem. My backing plate to the e-brake is warped. When I clamp it so it is more straight, the e-brake works, but like it is, I can't adjust it to make it hold. And it springs back to the same position after I release the clamp. Any ideas what would cause this? I'm not even sure how the backing plate is held on there. Whatever it is, I am guessing I need to tear the thing apart so that's next. Location: Muskego, WI Pull spring 4-07-23 in the diagram provided by 56D500boy and the whole brake backing plate and shoe assembly will pull off the end of the trans. It will most likely take a while to remove due to rust and dirt, but it will come off. Location: So. California I know that spring clips into the grease shield, but it didn't seem to clip into anything else that would prevent the plate from coming off. I'll take a look at it tomorrow and give it a try. I think washer 4-06-6 also has to come off unless you pull the anchor pin as well. Removing the anchor pin to pull the shoe anchor seems pretty impossible while installed in the car. I am hoping it is easy to remove the cable from it once I get there. But I am wondering what could possibly cause this to happen and how to fix it. I did manage to adjust it enough for the ebrake to barely work once I could adjust the wheel externally, but I don't want to leave it this way. This won't last long. He posted this today to the Forward Look listserver. Location: So. California Thanks, I had just talked with him about it. Unfortunately, his is the older version and I need the later version for a '60 Chrysler. Location: So. California You were right Jon. That wire clip in the middle does clip into a groove on the tailshaft of the transmission. So it needs to be removed as well to get the backing plate off. I got it mostly disassembled, but I couldn't get that crushed anchor washer undone while under the car. They put a rounded surface on it, so the backwards pliers or any other tool just slips right off of it. I can probably do it by simultaneously hitting 2 screw drivers with a hammer, but I wasn't willing to put that much trouble into it since I don't have a straight backing plate to replace it with, and I don't want this car clogging up my driveway until I get one. So, against my better judgement, I just put it all back together and adjusted it to work as well as it can. I did straighten out the "anchor shoe guides" first though as they were beat up pretty good. At least now I don't have to have a helper to place a rock in front of the wheel anymore, which was my main goal in doing this. Once I can get ahold of a replacement backing plate, I'll give it another try. I doubt I could straighten this one very well without damaging other parts of it's structure further. Some advice for anyone who has never put these things together before. Don't attempt to put in the main shoe return spring before you install the grease shield spring clip. If you do, you will be trying to keep multiple pieces together, hanging in mid-air while stretching a heavy spring across them. Instead use the grease shield spring clip to hold everything together, and once the return spring is in place, then move the ends of the grease sheild spring clip above the return spring. Much easier that way. Location: Muskego, WI Once you pull the retainer spring, you can remove the whole brake assembly and service it off the vehicle. The "brake support grease shield" has a nice rounded end so it is easy to just push the retaining spring over it once you have the whole assembly back in place on the tail shaft of the trans. Been there, done that on my imperial. How bad is your backing plate, can you straighten it out with a hammer and some heat?